Caroline Russell has been selected as the Green Party candidate for Islington North in the general election. Caroline is one of two Green Party representatives on the London Assembly and is a councillor for Highbury East within the Islington North constituency. She is National Transport Spokesperson for the Green Party. Caroline has lived in Islington since 1986, initially in Kings Cross and since 1992 in Highbury. She is married with three children. She has Fine Art degrees from Oxford (BA) and Goldsmiths (MA) and a B.Eng in Civil Engineering from City University. Over the years she has worked as an artist, bicycle dispatch rider, community arts leader, university lecturer and, after a period of full time parenting combined with community activism and school governing, as a transport and clean air campaigner. Cllr Caroline Russell was elected as sole opposition councillor to 47 Labour councillors in Islington in 2014. 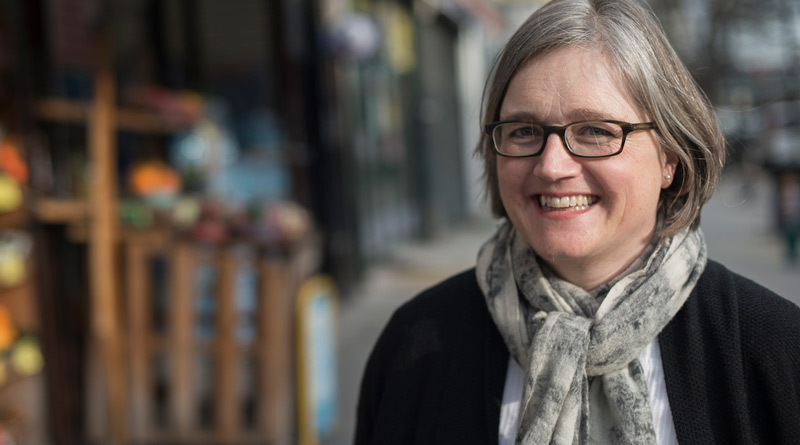 In 2016, Caroline was elected to the London Assembly where she leads on Transport, Economy and Environment for the Green Group. She is Chair of the Economy Committee for the year May 2017-18 and Deputy Chair of the Environment Committee. Promoted and Produced by Caroline Russell as part of her campaign for election to the post of London Assembly list candidate. This is not an official communication from the Green Party of England and Wales.